OSWEGO, NY – The final in a series of demonstrations for Lakeside Artisans’ Anniversary Celebration will take place at its 191 W. First St. location on March 30 at 1 p.m. with special guest Mary Lou Bjorkman, owner of the framing shop, Picture Connection. 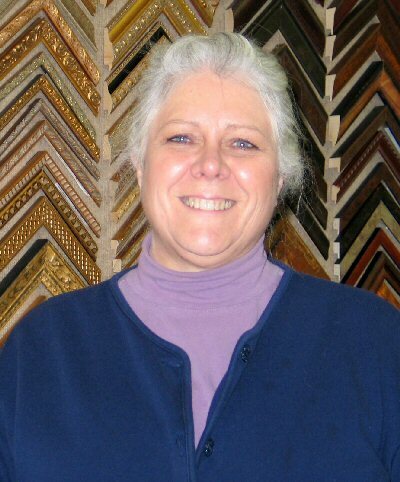 Mary Lou Bjorkman of Picture Connection with her display of framing samples. Bjorkman will discuss the criteria she considers when choosing appropriate matting and framing for artwork. She will bring a selection of matt and frame samples to use in her demonstration. These demonstrations at Lakeside Artisans are free and open to the public.